The Westside TAD Neighborhoods of English Avenue and Vine City are located just west of downtown Atlanta. Rich in history, these neighborhoods suffered from disinvestment over the past several decades. Today, while historic and cultural artifacts remain, the neighborhoods face serious socio-economic challenges. This study evaluated the many publicly vetted plans proposed over the past 15 years, to craft an implementation plan to drive job creation, neighborhood stabilization and redevelopment. 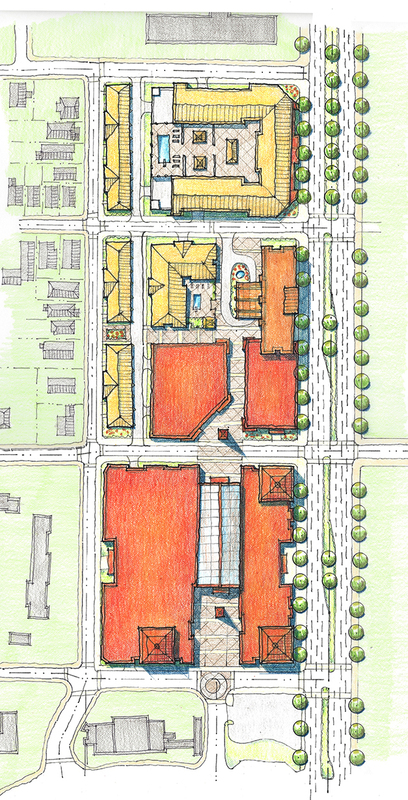 The consultant team was led by APD Urban Planning, and included market studies, infrastructure evaluation, public outreach and urban design. 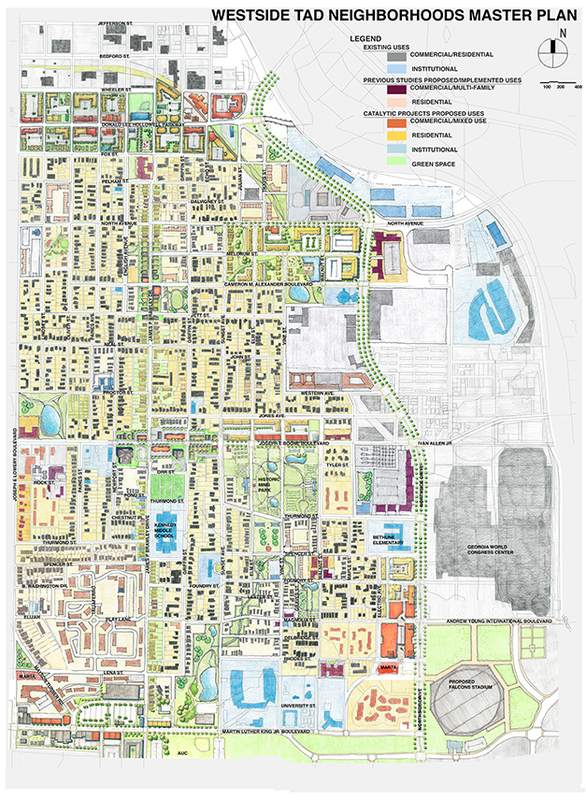 The process began with a compilation of the many plans approved over the years into a single aggregated map. From this data, a framework map to direct project prioritization was developed. The framework map identified areas of prime importance for maximum impact and leverage. A final master plan developed with detailed, site specific development projects, including transportation and infrastructure improvements. The Westside TAD master plan includes the potential siting of a new Falcons stadium to the east. 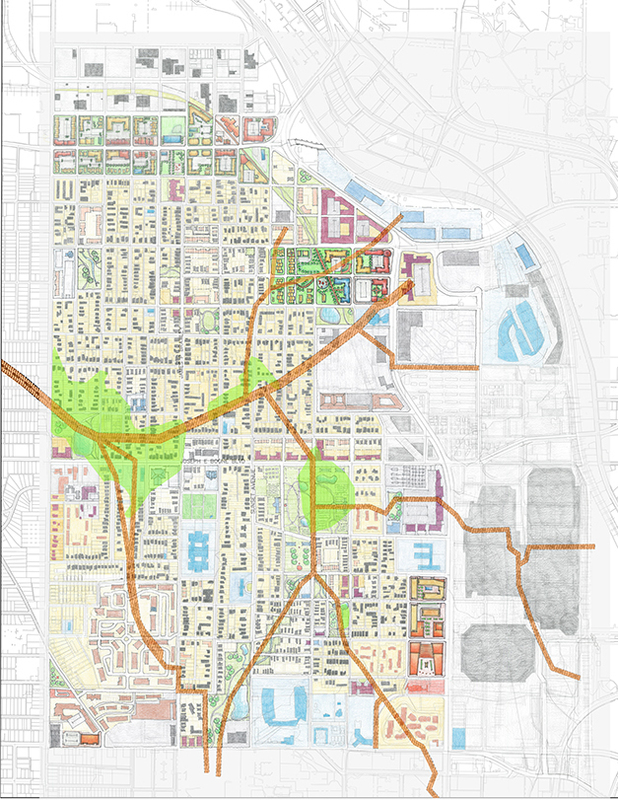 The aggregate project map is overlaid with major storm sewer infrastructure and low lying topography. 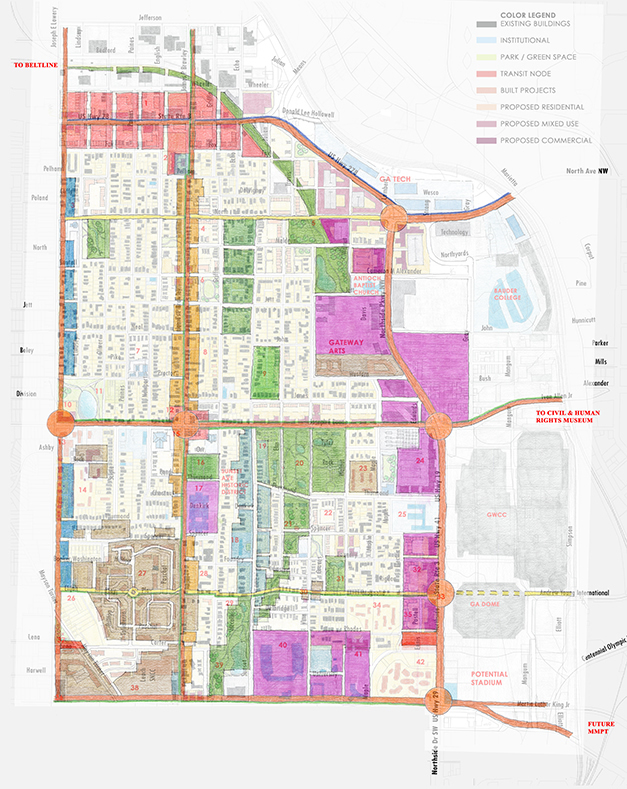 The framework plan details key development corridors, nodes and available land. 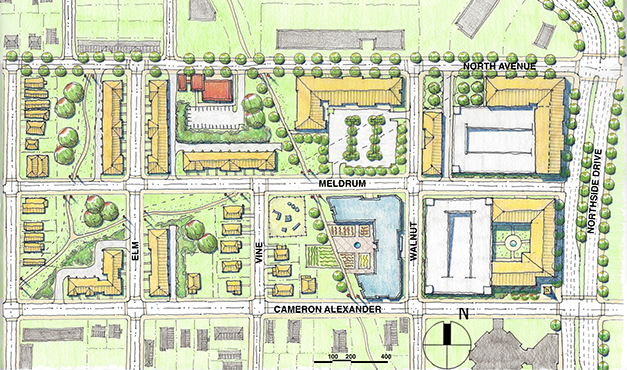 Intensive mixed-use development is targeted for the Northside Drive corridor, with a transition to the adjacent single family neighborhood. High intensity retail, entertainment, hotel and residential will adjoin the Vine City MARTA station and entice fans from the proposed new Falcons stadium.